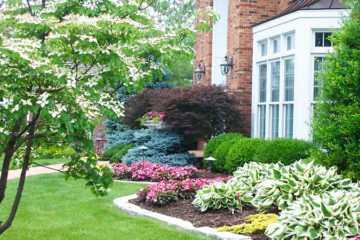 If you are in need of landscaping services for your home or business, our team at Elite Property Care can help. We provide a comprehensive list of services to commercial and residential customers throughout the Capital Region, which includes Albany, Schenectady, Rensselaer and Saratoga Counties. With over 10 years of experience, you can rest assured we can provide the top-quality results you are searching for. Our intention with our commercial landscaping services is to leave you with a beautiful landscape that impresses your clients, customers, employees, and visitors. Take a look at the Gallery for more ideas of the services we provide. Elite Property Care brings over a decade of experience in landscape design and installation, stone patio and paver patio installation, pool decks, outdoor fire pits and fireplaces, retaining walls, lawn and garden care and property maintenance to residential and commercial customers, home owners associations and property management companies. Centrally located in Albany, NY, we provide expert landscaping services to Albany NY, Slingerlands NY, Niskayuna NY, Latham NY, Clifton Park NY, Ballston Spa NY, Ballston Lake NY, Saratoga NY and everywhere in between. My wife and I contracted Elite Property Care to do an entire makeover of the landscaping at our home in spring of 2015. We found our experience with Elite Property Care to be wonderful! Starting with the design stage and all the way through the installation of the landscaping we found the professionals at Elite to be most accommodating to our needs and concerns. They incorporated many of our ideas as well as recommended improvements that we had not thought of ourselves. Their pricing was most fair and accurate and we received a great value. Not to mention the wonderful finished product! 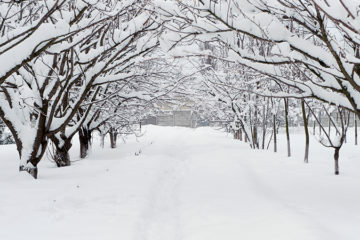 We highly recommend Elite Property Care for any landscaping and/or outdoor maintenance project. After 15 years of living in our home we finally decided to have some new hardscaping installed in our rear yard. Our arborist recommended Steve from Elite Property Care. They more than lived up to his recommendation. Because the first project went so smoothly and the results were better than expected, we had them back some months later to do additional work. The crew does great work, on time and on budget. They were very accommodating with changes in the plan and executed them flawlessly. We would definitely use Elite Property Care for any future hardscaping projects. Professional. Attention to detail. Personable. Knowledgeable. That's how we would describe our recent experience with Elite Property Care. From the start, we were impressed with how quickly they were willing to meet with us to discuss what we could do to improve our front yard appearance. They offered many design suggestions and were able to help us select pavers and colors for a new front walkway and retaining wall that would coordinate best with our home. They also helped to replace and install new shrubs and landscape to refresh our curb appeal. Their team showed up when they said they would and were efficient in completing our projects. When all was said and done, they came back to take a look at their work and to make sure we were satisfied. We continue to receive many compliments on our new walkway and retaining wall and are more than pleased with the work done by Elite Property Care. We will be using Elite Property Care again in the future and highly recommend their services to others. Elite has been taking care of our commercial property for the past ten years. They are always neat, on time, and always ready to go the extra mile to make things pop. Coming from a customer service industry myself I find it difficult to find people to work with that consistently do what they say they are going to do. Elite is just that, when I first met these guys I knew immediately that they would do a wonderful job. Appearance and detail in my business is what our focus is and I feel you can count on Elite for the same things. I have taken advice and guidance from these guys over the years and it has always worked out perfectly. I can also refer Elite to anyone in business including friends and family as I can assure them that they take there finished product and customer satisfaction very seriously. If you are looking for someone to manage the care of your property as you would take care of yourself then take it from me that Elite is your choice. Thank you for your continued impeccable service year after year. Your staff are friendly and professional. You have completed many landscape projects over the years and each one has been thorough, efficient and beautiful. 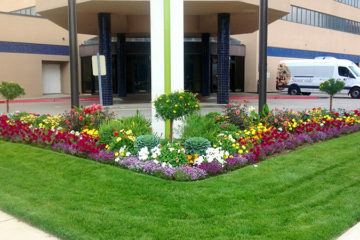 We receive many compliments throughout the year on our yard due to your hard work, care, timeliness and dedication. It is always so nice to be greeted with a friendly smile and voice. We wouldn't think of using anyone else! Elite Property Care is the best landscape company I have ever used. Their landscape design and implementation was not only beautiful, but effecient, friendly, professional and reasonably priced.